Our 2017 Showcase took place on October 29 at Auditorium Shores, with a theme that honored Armadillo World Headquarters. Songs were selected from a catalog of artists that played the legendary Austin venue. 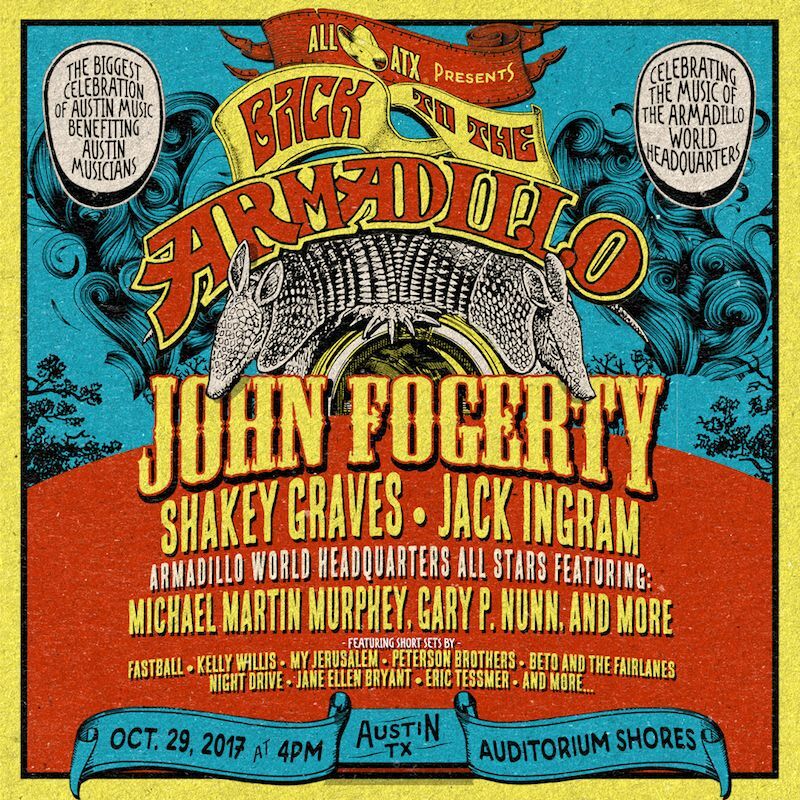 Shakey Graves and Jack Ingram each played short sets before welcoming a trio of local old-school Armadillo stars: Michael Martin Murphey, Gary P. Nunn, and Shawn Sahm. John Fogerty closed out the memorable night with a headlining set. Additional performances came from Fastball, Kelly Willis, My Jerusalem, Peterson Brothers, Beto and the Fairlanes, Night Drive, Jon Dee Graham, Jane Ellen Bryant, and Eric Tessmer. This year's CD is currently available at Waterloo Records!